More photos of NC-300, NC-303, and speakers coming soon. 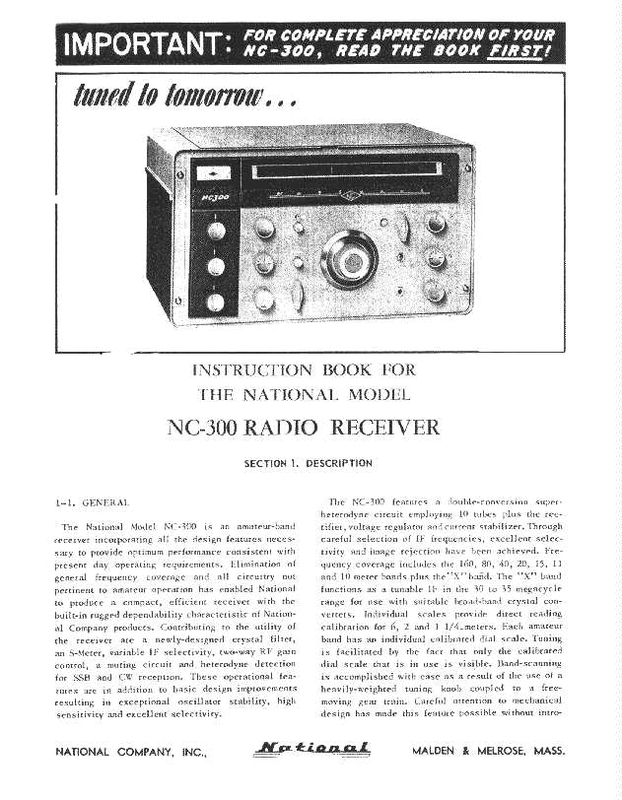 The introduction of the NC-300 was preceded by a highly publicized contest to design the "Dream Receiver" (photos coming soon). 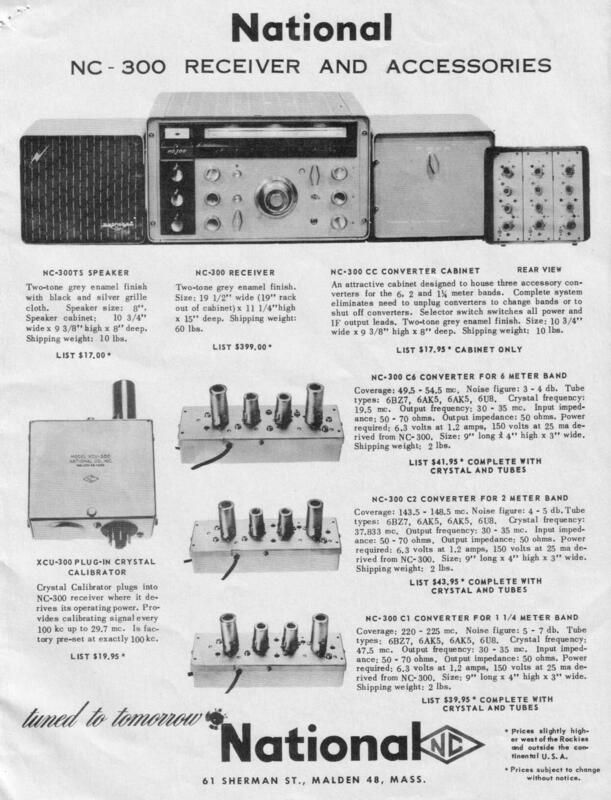 The early ads showed a different S-meter arrangement than the production units. The serial number is stamped into the top of the chassis just behind the crystal calibrator socket - just lift the lid and take a peek. 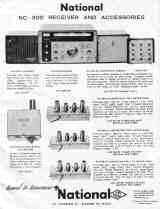 Please send me e-mail with info on your NC-300 - thanks to all the contributors so far. 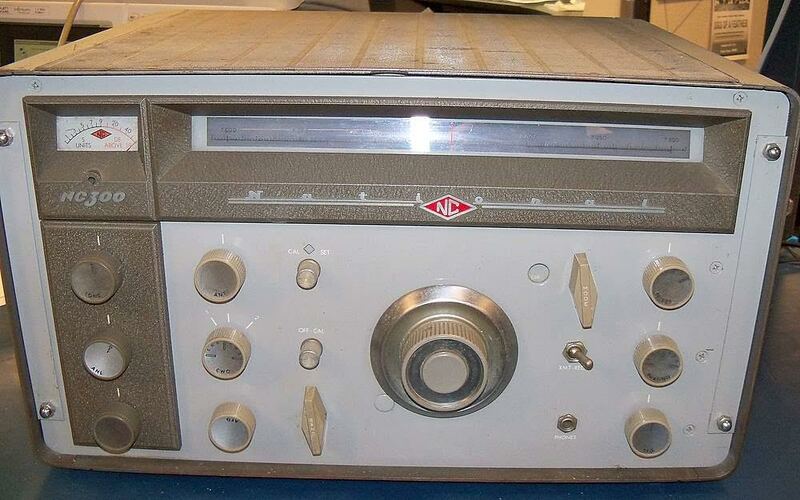 It appears that some early NC-300's had a gray smooth glossy finish on the bezel and/or cabinet - later units had a gray wrinkle finish. 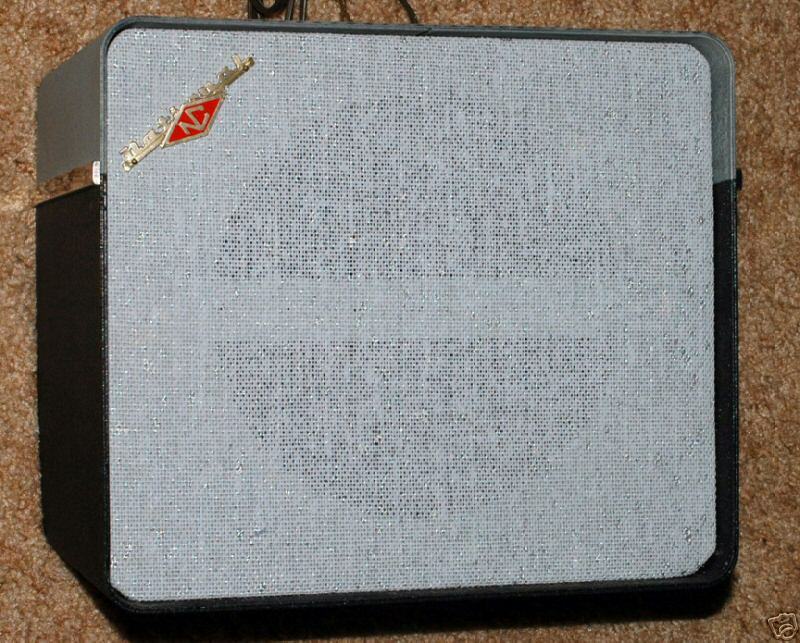 Interestingly, it appears the last units made also had a smooth bezel but wrinkle cabinet. 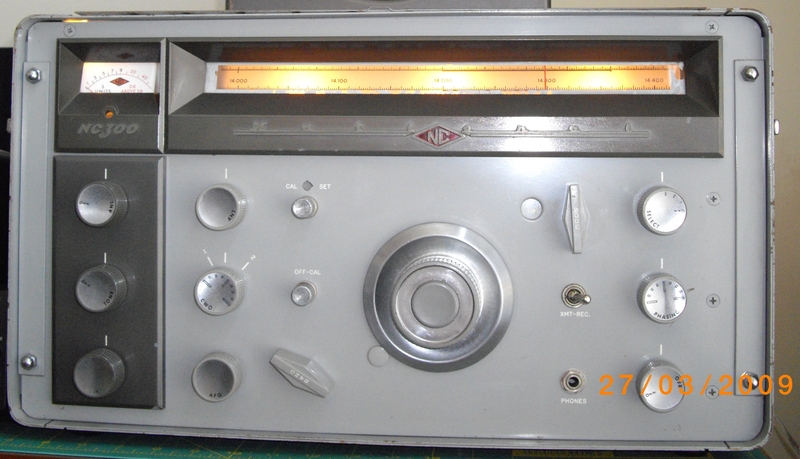 Starting with the 2nd run (460-xxxx) a 20m band mixer image trap made up of C86 and L18 was added. 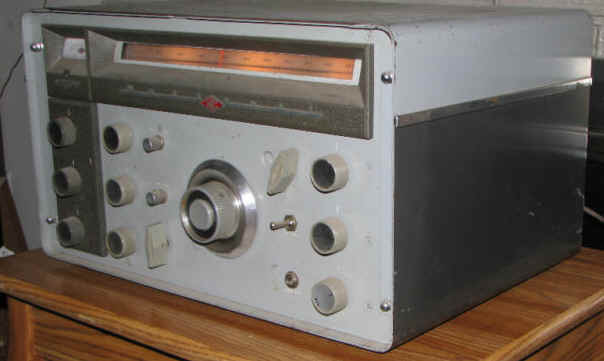 The last run (481-xxxx) had a 330 ohm resistor substituted for the filter choke (L17). 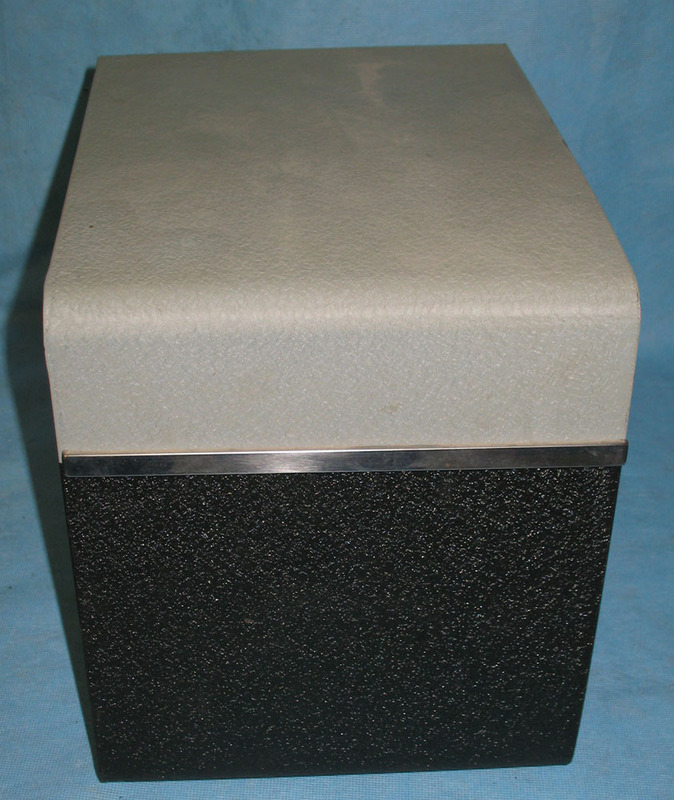 Serial No (date) Bezel Cabinet Filter Choke? 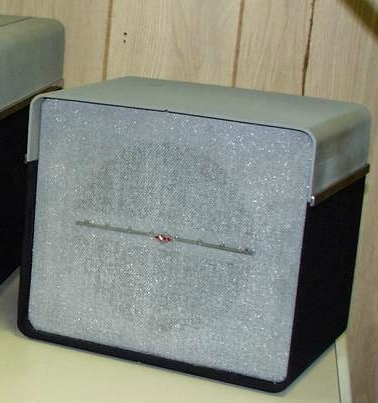 Choke/Resistor Variants -to tell them apart, lift up the top lid and look at the screw heads just to the left of the power xfmr - no need to look under the chassis. There are 3 different NC-300 instruction books - They match production runs. 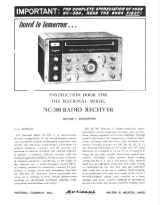 SM-3000-ER460 3-56 "IMPORTANT... READ THE BOOK FIRST"
SM-3000-ER481 9-56 "IMPORTANT... READ THE BOOK FIRST"
NC-300 and NC-303 cabinet sides had light color above, dark below. Top was light. Rear was light. 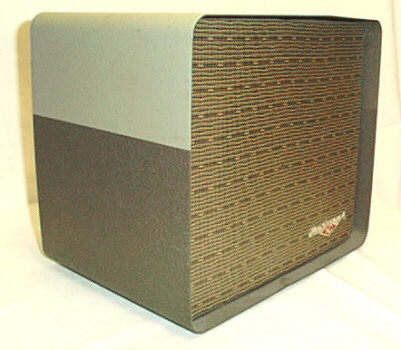 Early model NC-300TS speaker grille - Ads also showed vertical striped grille cloth shown at left Early model NC-300TS speaker side view - smooth paint matches colors on early NC-300 front panel. grille Late model NC-300TS speaker side view - wrinkled paint matches colors on later NC-300 front panel. 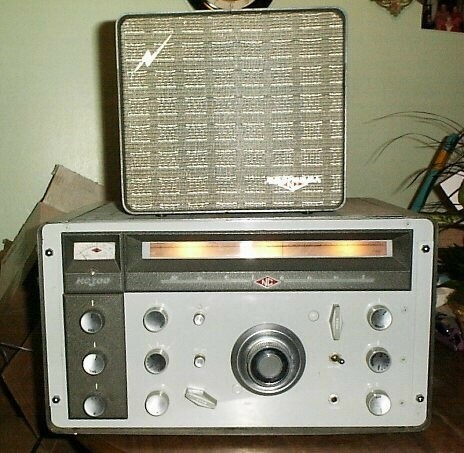 Both NC-300 and NC-303 paint schemes existed - NC-303CC had chrome side strips and darker gray.